A regular haunt when I was at University in the late 70s was The Star, in Back Hope Street, Salford. Ignoring the rather more easily accessible delights of the student bar at Castle Irwell (and the casino opposite), we’d walk out of the horseshoe-shaped village, down Cromwell Road, turn left, past the fish and chip shop which would come in useful later in the evening, and was also good for celebrity spotting – I stood in the line for chips next to Buzzcocks’ Pete Shelley once, struck dumb with shyness (I think we both were). On past Manchester United’s training ground The Cliff, eventually turning right down an unlikely-looking narrow street. No big signs, hardly any signs at all in fact, no foot traffic.. odds were you wouldn’t just happen to walk by, someone had to show you where it was, which was part of the attraction. Opposite was the Horseshoe, which was a pretty good pub, but the main attraction was The Star and the folk club night, run by Martin Gittins, part of a duo called Pint’n’Half who, if memory serves, would often open up the show and then hand over to the guest performers. The folk/comedy stylists Mike Harding and Bob Williamson were probably the most famous of those, and we saw many more. The politics of songs at the club fit in with my proto-lefty leanings, and the Robinson’s beer (including the lethal Old Tom) was excellently kept by one-armed landlord and local legend Wally Marshall. On darts night at The Star, the competitors would play on a Manchester Log-End, or Lancashire, board. You think darts is difficult: well, play on a Log-End and you’ll encounter a whole new source of frustration. They’re about two thirds the size of the ones you see on telly, and have no treble ring. They have to be kept in water, or they split – they’re sawn from an elm log – so about half an hour before the match started, someone would retrieve the thoroughly soaked dart board and hang it up. I’d like to see Phil ‘The Power’ Taylor or ‘Barney’ Barneveld have a go at one of those. This all popped back into my memory a few days ago, so I did a quick search to see how things are now. 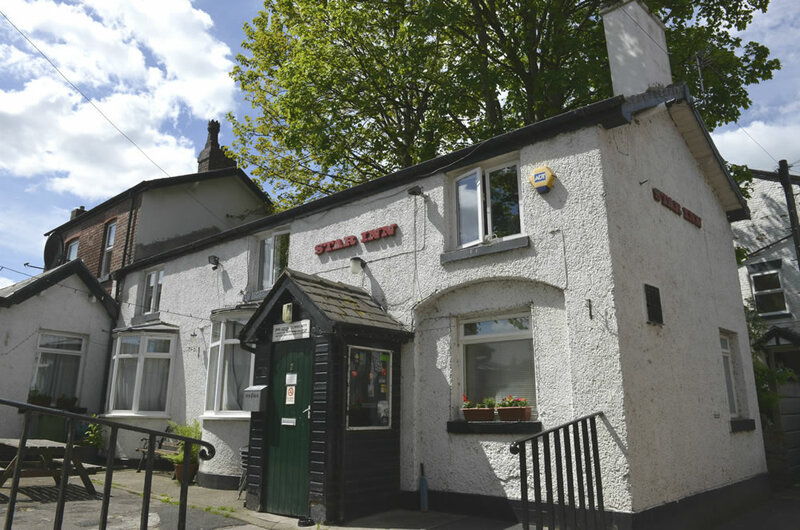 The Horseshoe is now gone, and The Star had some problems recently, but I am pleased to see it is now run as a co-operative, bought by its regulars in 2009. Good for them. It is a fine place, and if you’re ever out that way, drop in. Memory aid for this article provided by Jim Simpson’s fine history, on the pub web site. Sounds like a great pub and I enjoyed finding out about Manchester Log End.